Turning and milling in standardized machines as well as functions for simple automation of grinding machines - SINUMERIK 828D ADVANCED, SINUMERIK 828D and SINUMERIK 828D BASIC set standards in productivity with their unique CNC performance. 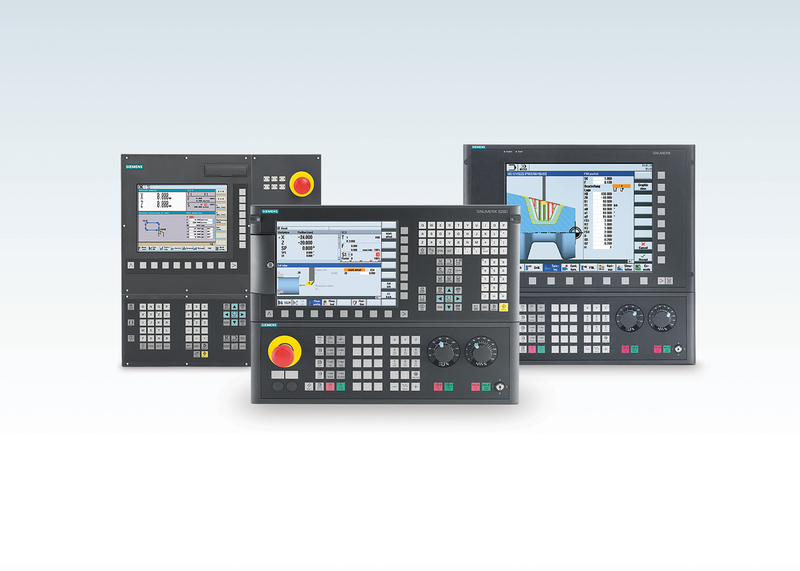 With its technology-specific system software, the application range of the SINUMERIK 828 controls extends from vertical and simple horizontal machining centers - naturally also for moldmaking applications - to surface and cylindrical grinding machines up to two-channel turning centers with counter-spindle, driven tools and Y-axis. An operating panel front made of diecast magnesium, the panel-based CNC design with sophisticated interfaces and the high degree of protection IP 65 make the SINUMERIK 828 controllers reliable partners even in harsh environments. The SINUMERIK 828 controllers are completely maintenance-free thanks to fanless and hard-disk-free design and NV-RAM memory technology without backup battery. Thanks to a full QWERTY CNC keyboard with short-stroke keys and a high-resolution 10.4" TFT color display / 15.6" touch display, the SINUMERIK 828 controls are easy to operate. With USB, CF card (only with 10.4'') and RJ45 interfaces on the front panel, CNC data can be transferred quickly and easily. All about the new SINUMERIK 828D here.